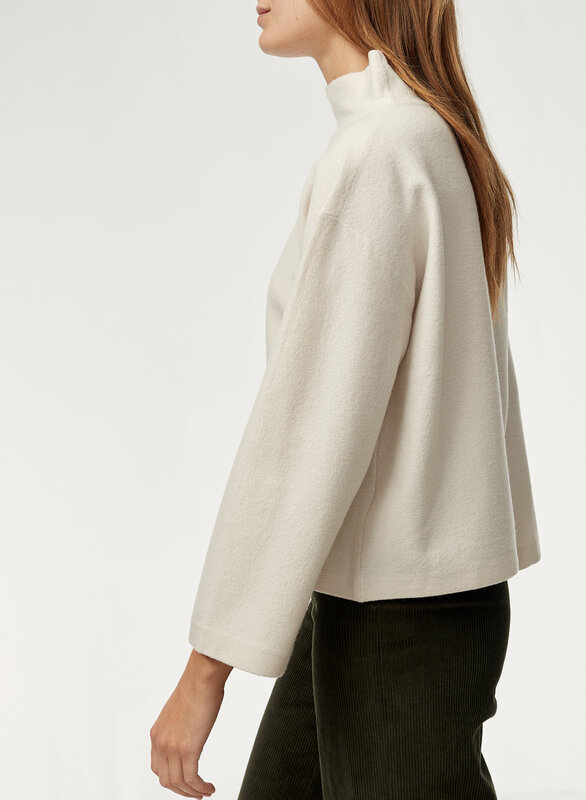 Knit with Italian wool-blend yarn, this structured silhouette balances clean lines with oversized proportions. 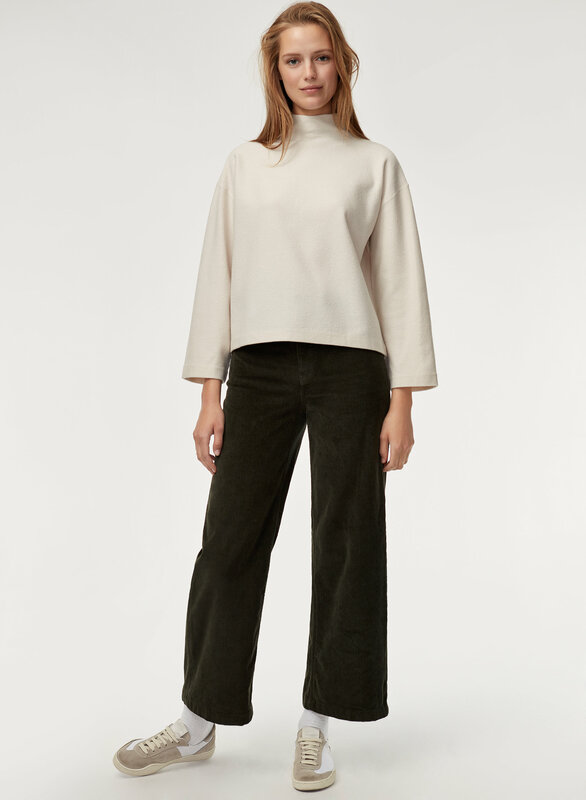 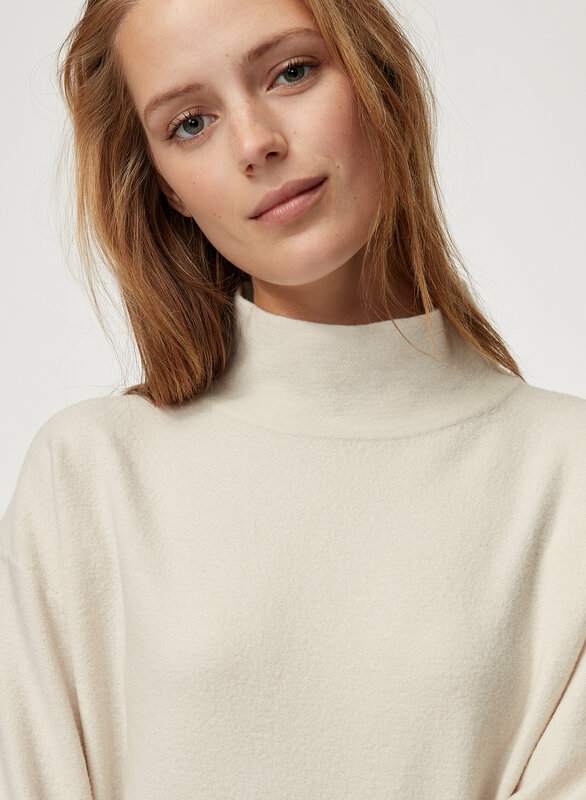 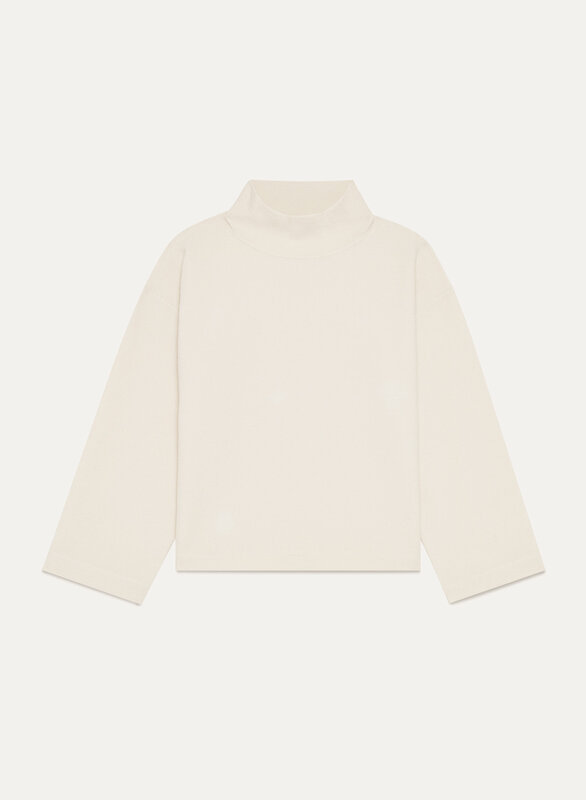 The funnel neck and wide sleeves are elevated, yet super cozy. 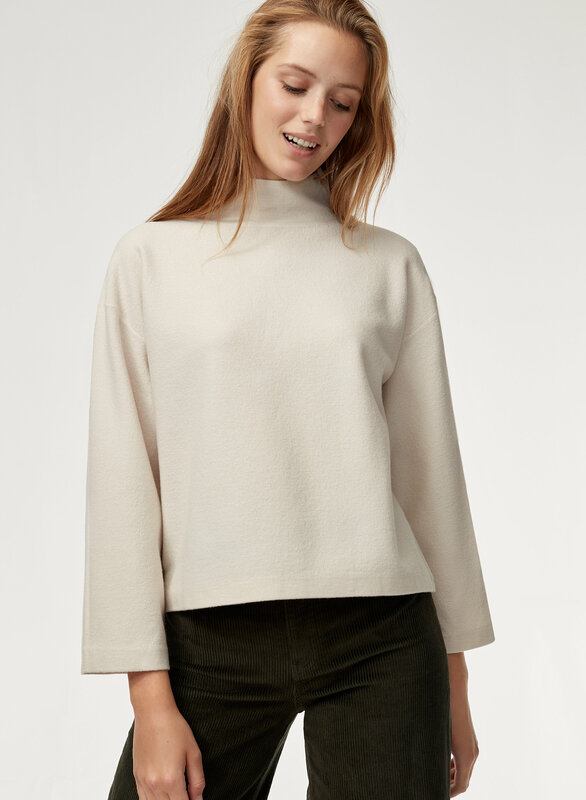 Really like the sweater. 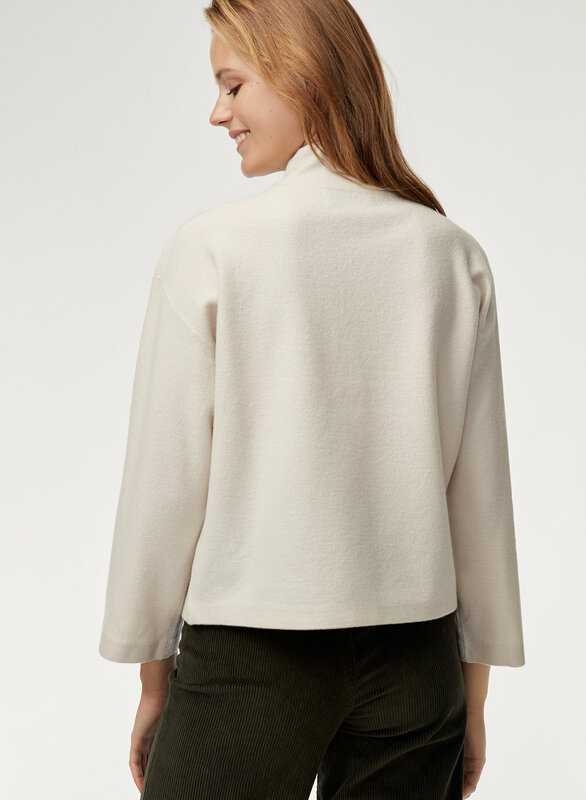 Only problem is that the models are taller than most of us, so the sweater is a bit longer than I wanted.